can anyone who has the time work out if and how profitable it currently is to mine neoscrypt on BSOD? 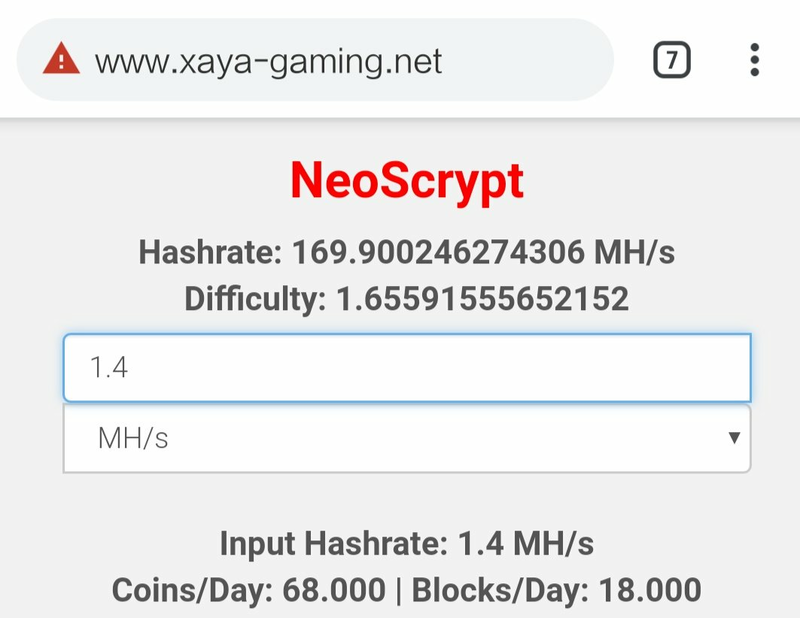 i get that it's 52.1 Mh/s for neoscrypt atm. Neoscrypt gives about 8k coins a day? after electron at say 0.15 usd/kWh, probably 2.5 USD a day? This seems more profitable than any other gpu minable coin atm, or did i make some errors? This network speed has not been for a long time, just network statistics do not work in the pool. But in general, you are right! Where do you get this number? 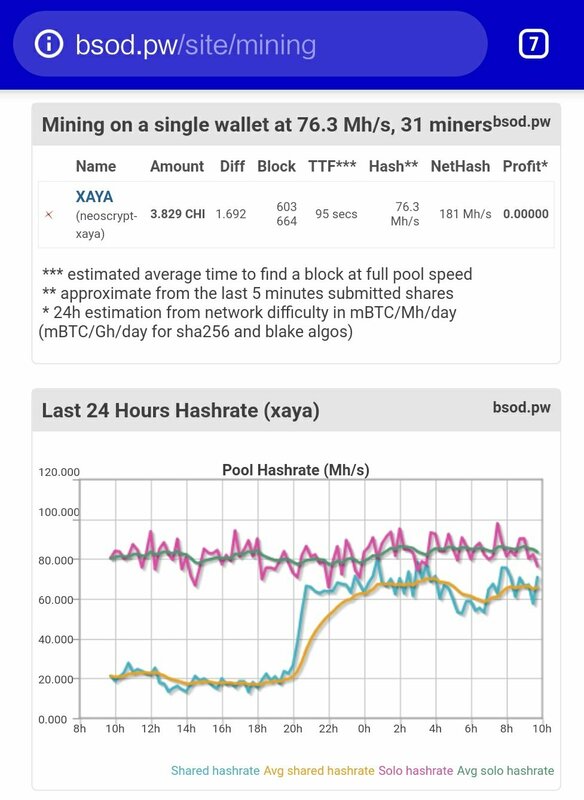 I had a bug when calculating the post-fork hashrate earlier because I assumed 1 block per minute. I think you may need to multiply that by 1.5 (60/40 sec) to give ~ 80 MH/s. I was looking at the nethash on bsod. So like OSYA said it appears there is a bug. According to my calculations, the actual hashrate is closer to 150 MH/s right now. Yes, it should be correct. I got very near to the expected number of blocks when mining neoscrypt a few weeks ago. https://bsod.pw is the first public yiimp-based SOLO pool. Now you don’t have to worry about configuring and maintaining your own pool. No need to look for a private pool at a risk of running into scammers. You don’t have to mine on a pool and share reward with the others. why cant we just find a pool to mine on that uses total hash rate not solo.. and why would i pay a pool to solo mine when i can do it at home 0 fees? if u got 5+ rigs or separate location, it will be easy to setup and manage by pool, no need to have wallet open in each rigs.